These little garden pansies retained the color of their ancestor, the Viola arvenis or the field pansy, on its common name. 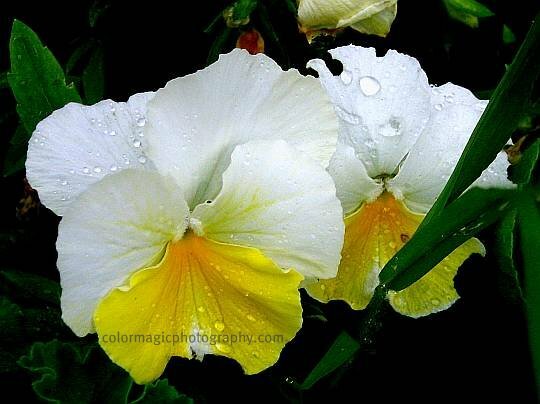 Their lovely pansy faces looks so pretty even after being beaten by the rain. opening this post has been such a great moment!! Wonderful colorplay very concentrated! They look so alive and fresh. Beautiful rich colors.